Two months ago, I received an email from Li, whom I’d like to meet someday. She was planning a gift for Francesca, a mutual friend who is expecting, and asked for three things: a bead (of any sort) and two notes, a well wish for the Mom-to-Be and a well wish for the baby. 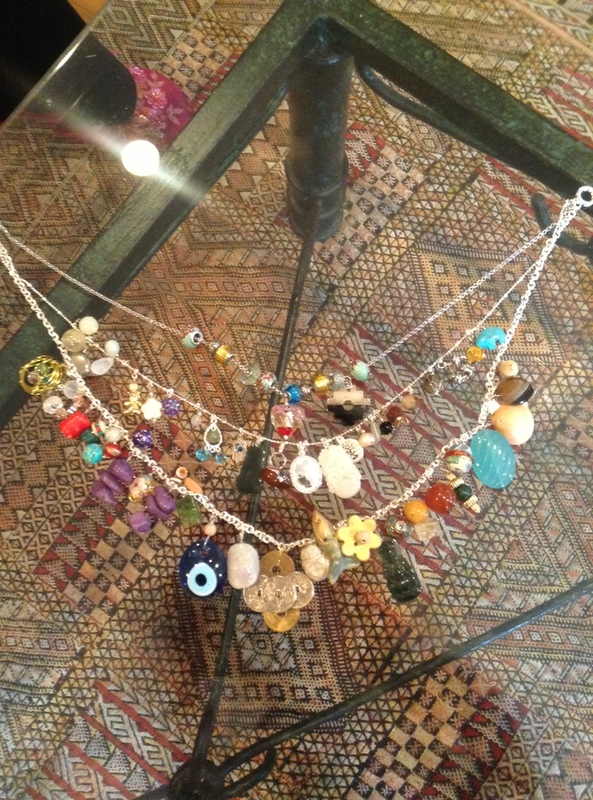 The beads formed the necklace, a collective token of love from Francesca’s friends. 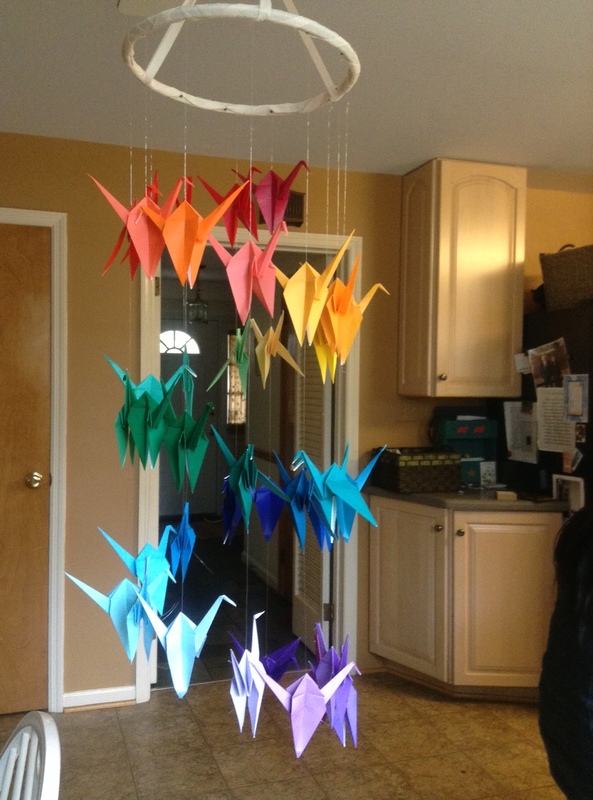 The well wishes for the baby were transformed into an origami mobile. This gift idea is one of the most thoughtful I’ve come across. It was all a lot of work. Li contacted Francesca’s friends in secret. Handiwork lovely, too. This entry was posted in Arts and tagged Baby, Friendship, Gift, Kindness, Mother. Bookmark the permalink. I appreciate the ongoing support. You’ve been wonderful. Awww….you’re welcome and thank you so much for being so sweet in this reply. Thanks, Lance. Appreciate the support, as always.